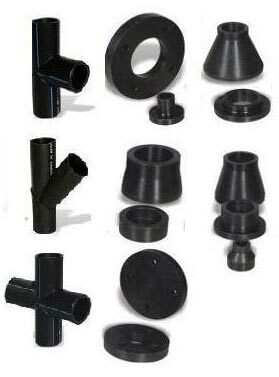 We are a renowned Manufacturer, Supplier and Exporter of HDPE Pipe Fittings. The HDPE Pipe Fittings we make available are appreciated for their accurate dimensions, unmatched durability and excellent quality. The Pipe Fittings are manufactured in compliance with set industrial norms. We have all the in-house facilities to meet the bulk and urgent requirements of the buyers. One can obtain the Pipe Fittings at competitive rates from us.